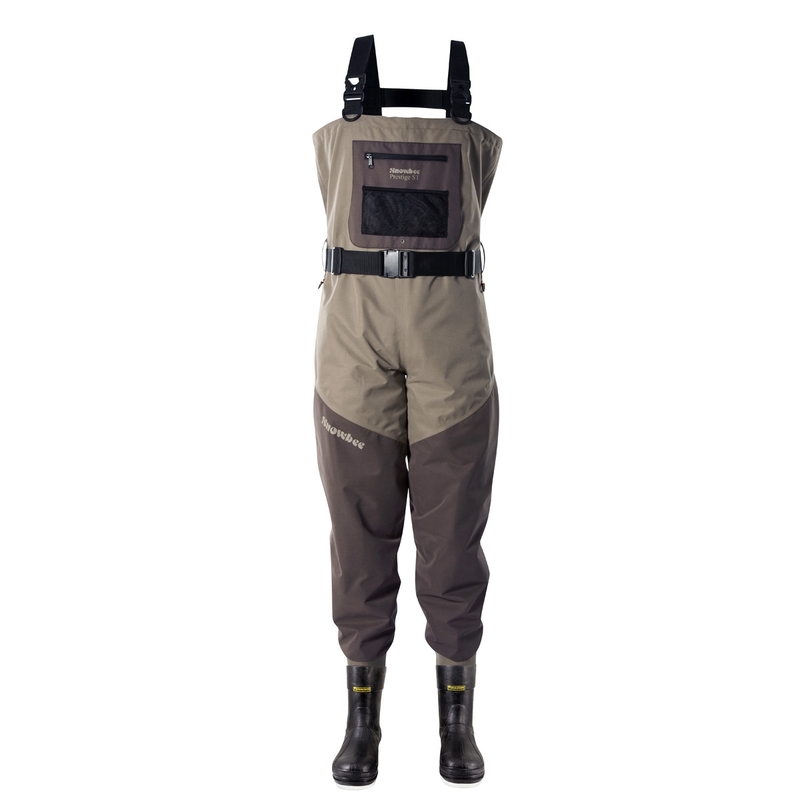 Snowbee Prestige ST Combi-Felt Sole Chest Waders, featuring the same upper as the popular stockingfoot model, but feature the new, heavy-duty Rubber Boot, which is unique to Snowbee. Hand laminated rubber, with a steel sole shank in the mid-sole, to prevent torsion, they offer greater protection and rigidity. A thick, heavy duty sole ensures wading comfort, without feeling those sharp stones through the sole. Fitted with Snowbee's well-proven Combi Felt sole with a deep cleated heel, deep enough to take studs, for the best grip both in the river and on the bank. A rubber-foam lining provides good insulation, then a further Thinsulate material inner lining retains the warmth. This replaces the more normal neoprene lining, making these ideal for anyone with a Neoprene allergy. There is no doubt these waders are of the highest quality however the body of the size 6 boot waders is very long and clearly designed for a man not a 54 lady! In my opinion if you are under 58 they will most likely be to long for you. My husband has been using these waders this week and is very pleased with them. They are light and easy to get on and off. The waders are very comfortable in the warm weather we have been having. Have recommended these waders to my brother in law. First pair had a bad leak on first outing but Uttings have a great customer service and replaced very quickly with no quibble.New ones seem OK on first outing. not fished with them yet.